The conference focuses on medical and health-related research, inviting applicants from all health- and science-related disciplines. Participation is open to any undergraduate student. 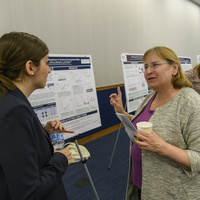 All undergraduate participants present posters during a poster viewing session. From the pool of submitted posters, the Student Planning Committee selects some students, in advance, to also deliver oral presentations.